Will Beijing Keep the Huawei Case Separate From US-China Trade Negotiations? While China’s commerce ministry is eager to reach a trade deal, the foreign ministry vows to protect Chinese citizens’ rights. Early in the morning of December 11, Chinese Vice Premier Liu He — China’s top negotiator in the U.S.-China trade dispute — had a phone conversation with his U.S. counterparts, Treasury Secretary Steven Mnuchin and Trade Representative Robert Lighthizer. Immediately after the talk, the Chinese Ministry of Commerce revealed the information on its website. On December 1, Chinese President Xi Jinping and his U.S. counterpart Donald Trump held a significant meeting in Buenos Aires, Argentina where both sides agreed on a 90-day ceasefire in the trade war. In its latest statement, the Chinese Commerce Ministry announced to the public that Liu and his U.S. counterparts “have exchanged views on pushing forward the next step of the timetable and road map for consensus made during the meeting between both nations’ top leaders,” without providing further details. It’s worth noting that the phone conversation came amid a row between Beijing and Washington over the case of Meng Wanzhou, chief financial officer and deputy chair of Chinese telecoms giant Huawei as well as a daughter of Huawei’s founder Ren Zhengfei. Meng was arrested under fraud charges in Vancouver, British Columbia on December 1 at the request of U.S. law enforcement authorities. According to information released during Meng’s bail hearing at the British Columbia Supreme Court in Vancouver, Meng could face a maximum penalty of 30 years in prison if found guilty of the charges. While the case has been dominating the headlines of Chinese media ever since, a wave of anti-American as well as anti-Canadan sentiment has been growing within China, too. Many Chinese netizens claim that the United States does not intend to suspend aggressive actions against China; what the “evil Americans” really want is to contain China by destroying all leading Chinese technology companies that can compete with U.S. firms. 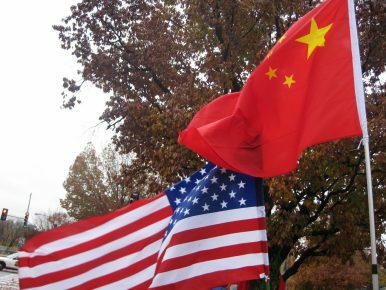 Some hawkish Chinese netizens not only vowed to boycott U.S. and Canadian products but urged the Chinese government to suspend its ongoing negotiations with Washington on trade. Against that backdrop, the timing of Liu He’s phone call and the Chinese Commerce Ministry’s instant announcement signaled that Beijing — or at least a faction within the Chinese Community Party — has no plan to suspend the negotiations for the sake of the Huawei case. In fact, the Chinese Commerce Ministry has repeatedly expressed its eagerness to reach an agreement with the U.S. side. On December 6 — the day the news about Meng’s arrest broke out — a spokesperson for the ministry said to the press that “we have confidence” in promoting the economic and trade negotiation. “China will start from implementing the specific issues on which both sides have reached consensus as soon as possible,” the spokesperson added. In comparison, China’s Foreign Ministry has been reacting quite differently to the Huawei case. As The Diplomat noted, the Foreign Ministry summoned both the U.S. and Canadian ambassadors and lodged stern representations over Meng’s detention. Although compared to its attitude toward Canada, the Foreign Ministry intentionally toned down its criticism against the United States, it’s still obvious that the ministry is determined to raise Meng’s case as a political issue. China’s propaganda machine is also promoting it. On December 11, Chinese State Councilor and Foreign Minister Wang Yi vowed again that the Chinese government will protect every Chinese citizen’s legitimate rights. “The Chinese side will never ignore any bullying that violates the legitimate rights and interests of Chinese citizens. China will fully safeguard the legitimate rights of Chinese citizens and return the fairness and justice to the world,” he stressed. Although Wang didn’t mention the Meng case directly, Chinese media tended to interpret his remarks in light of that example. Based on available public information, it’s still unclear now whether Beijing wants to handle the trade negotiations and Huawei case on separate tracks or not. Some analysts believe that the nuance between China’s Foreign Ministry and Commerce Ministry on the Huawei case as well as on the trade talks indicate that even within the Party, there might be disagreement between rival factions. China’s attitude toward U.S.-China trade talks switched from belligerence to silence and now to optimism. The interaction reinforced the ongoing activity in the security aspect of the strategic partnership.